Look at a mangrove and it’s clear that it is unlike any other forest type. Roots rise above ground in looping, arching shapes—an adaptation to the low-oxygen soils of subtropical coastal areas. But other aspects of these forests are less obvious, starting with their importance for storing carbon dioxide and keeping it out of the atmosphere. Research has shown that mangroves account for only 3 percent of global forest cover. However, they happen to be the most carbon-rich type of forest in the tropics. This means that mangrove loss can have a large effect; up to 10 percent of global carbon emissions from deforestation has been attributed to mangroves. (When trees are harvested and die, whether they are burned or eventually rot, their stored carbon is released to the atmosphere.) 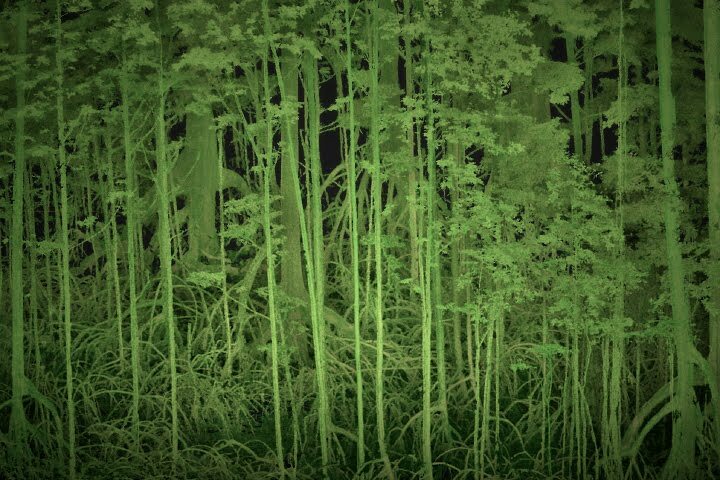 Because of their importance to the carbon cycle and climate, researchers have been investigating the structure of these forests from the ground, air, and space. 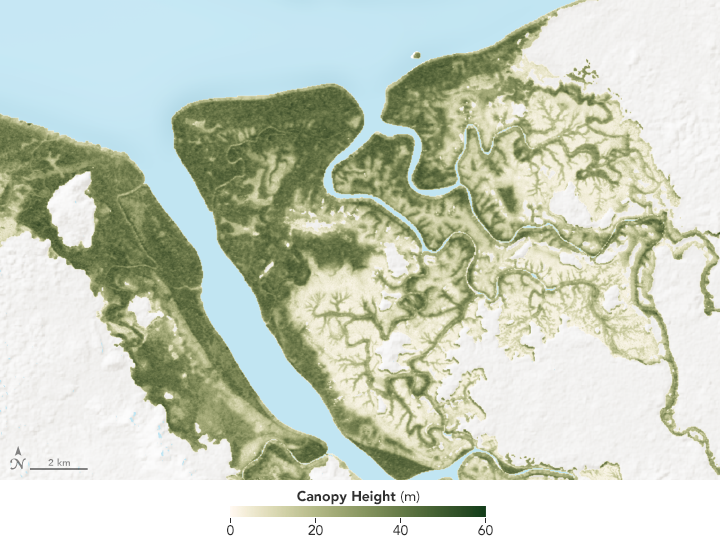 The maps above are the result of one such effort, which uses satellite radar data to model the height of mangrove canopies in Africa. 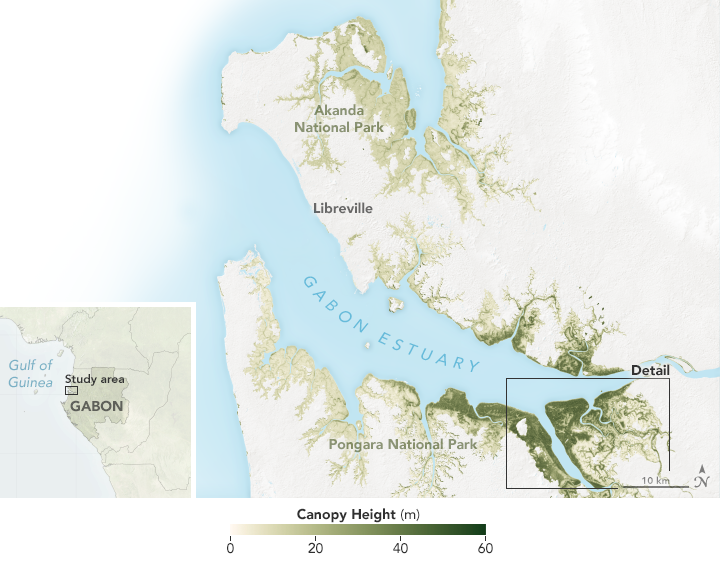 This map, based on a model developed by SeungKuk Lee of NASA’s Goddard Space Flight Center, shows tree canopy heights for 2015 in the vicinity of the Akanda and Pongara national parks in Gabon. The parks span 540 and 929 square kilometers, respectively, and together account for 25 percent of Africa’s protected mangrove area. 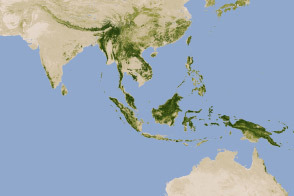 Dark greens represent areas where mangrove trees are the tallest. The darkest greens appear in Pongara National Park, where trees tower up to 60 meters (200 feet) in places—some of the tallest mangroves in the world. Information on the height of mangrove canopies can help scientists estimate things like the total amount of biomass in a forest. 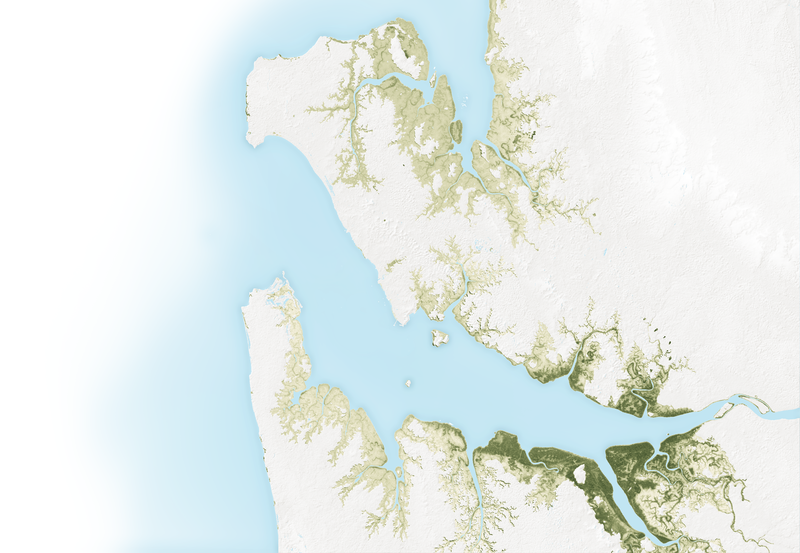 That information, in turn, can be used to get more precise estimates of how much carbon is locked up in a mangrove, and how land cover changes are affecting where that carbon ends up. But mangrove forests are not the same everywhere. Forests across Africa and around the world contain mangroves of various species and structures, with various capacities for storing carbon. 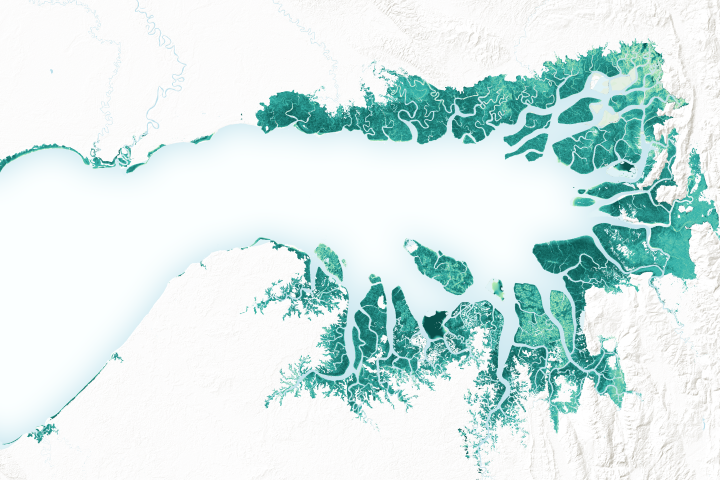 Air- and ground-based data are important for helping researchers estimate total mangrove ecosystem carbon stocks in Gabon and around the planet. 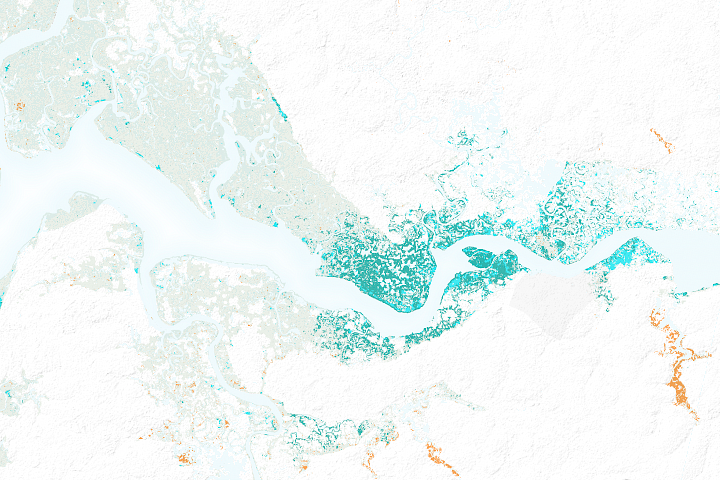 NASA Earth Observatory maps by Joshua Stevens, using canopy height data courtesy of SeungKuk Lee/NASA GSFC/NASA Carbon Monitoring Systems. Story by Kathryn Hansen. The mangroves in Pongara National Park are among the tallest in the world, towering up to 60 meters. 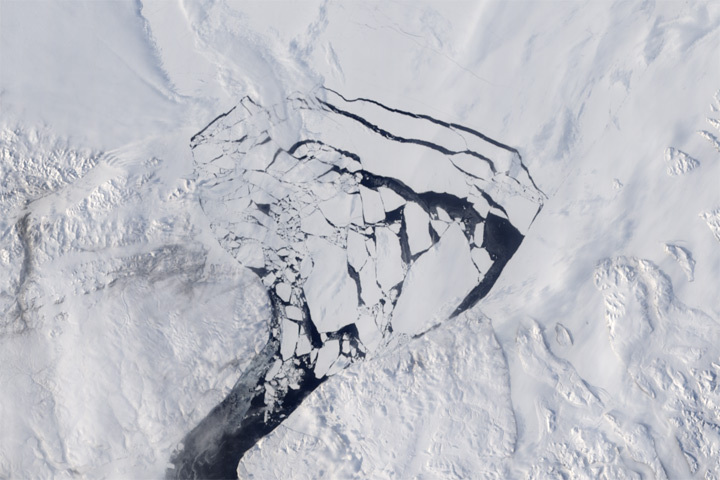 DLR Blog (2016, October 19) How researchers use the latest Earth observation data–Part two. Accessed May 18, 2017. Mangrove Science, TanDEM-X. Accessed May 18, 2017. 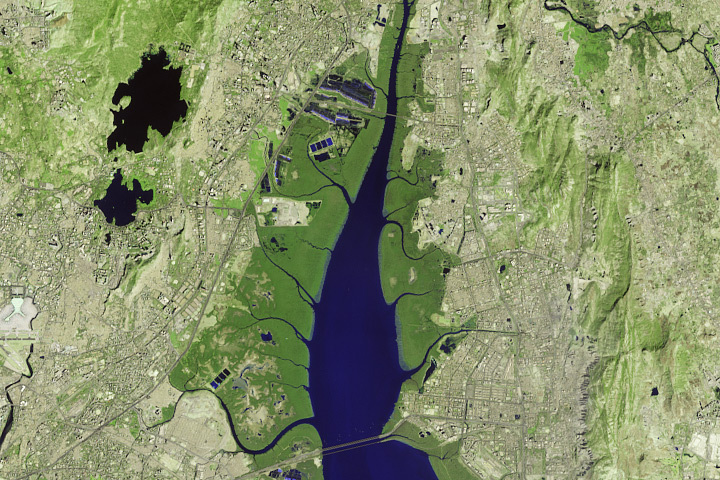 NASA Earth Observatory (2010, November 30) Mapping Mangroves by Satellite. 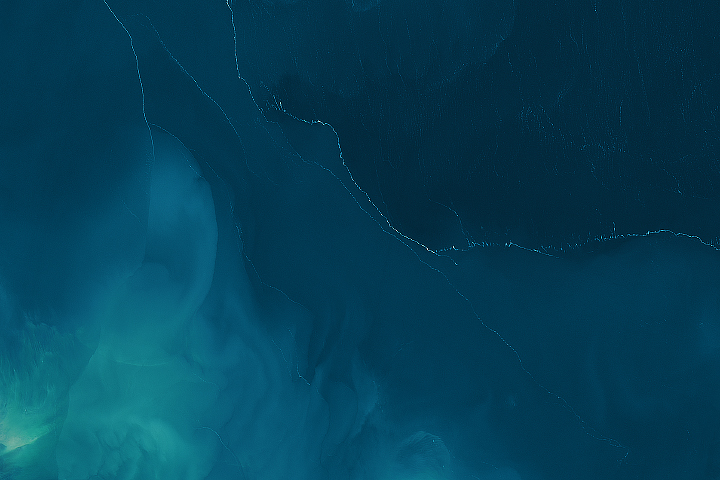 NASA Earth Observatory: Notes From the Field (2017, March 22) Mangrove Carbon With a Grain of Salt. NASA’s Earth Science News Team (2016, February 25) NASA, Partner Space Agencies Measure Forests In Gabon. NASA Goddard Earth Science Highlights (2015) TanDEM-X Pol-InSAR Inversion for Mangrove Canopy Height.